I used to have pretty fuss-free, long straight hair which was low maintenance and didn't need to be to be straightened or blow dried to keep it straight and shiny - OK, we may not be talking poker straight, but it was sufficient enough for me anyhow - but then cue a disastrous trip to a hair salon and woe betide my hair. I've been using hair oils of late to tame my tresses in addition to regular trims to cut out the highlights and keep any split ends at bay. 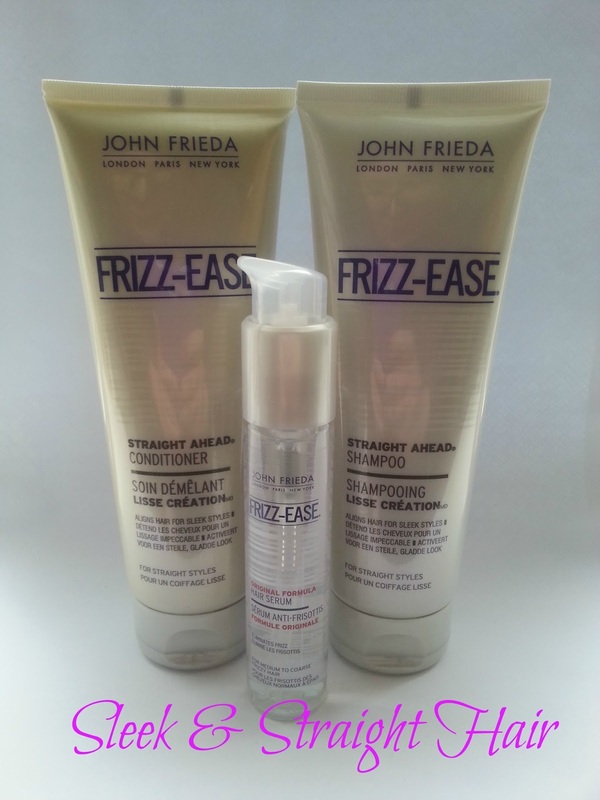 Whilst I am a fan of hair oils in general, I do sometimes worry about the product build up which can occur in the hair so for the past week I've been trying out the John Frieda Frizz-Ease range to see how it fares and if it lives up to it's "frizz-ease" claims. "Frizz - Ease Straight Ahead Style Activating Shampoo smoothes, shines and aligns frizzy hair for instantly easier straight styling. It nourishes, softens and hydrates and is developed for all types of dry, frizz-prone hair. 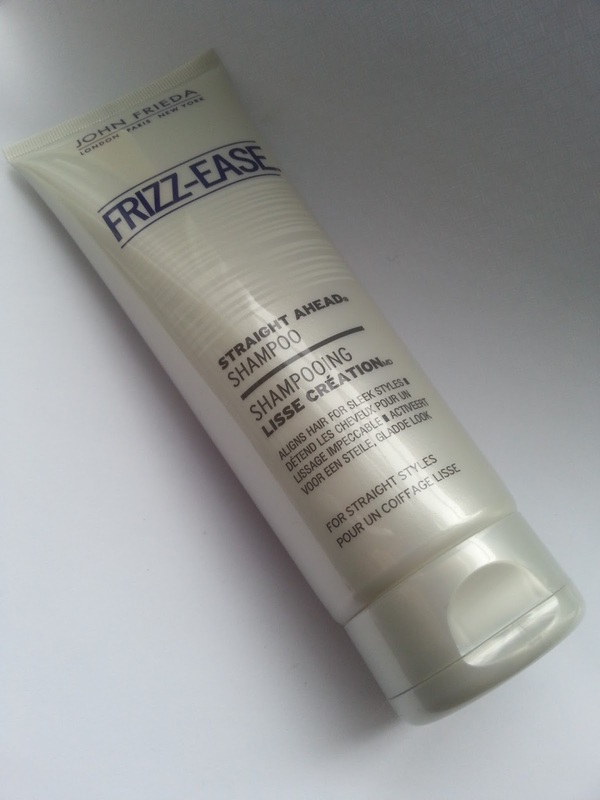 Frizz - Ease Straight Ahead Style Activating Shampoo tames frizz for instantly easier salon-straight styling results. 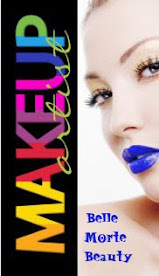 It is specially developed with a straight-defining complex, essential moisturisers and frizz-fighting silicone. 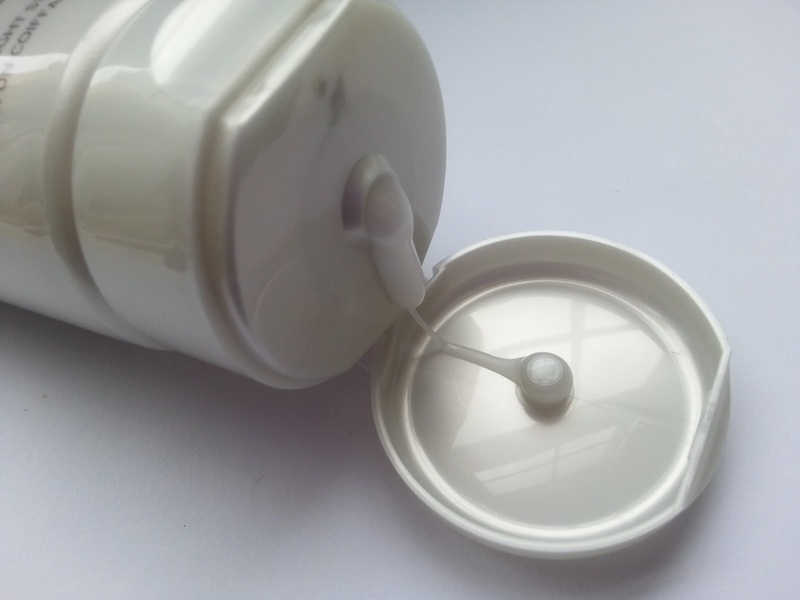 It is gentle enough for everyday use and is safe for colour-treated hair." 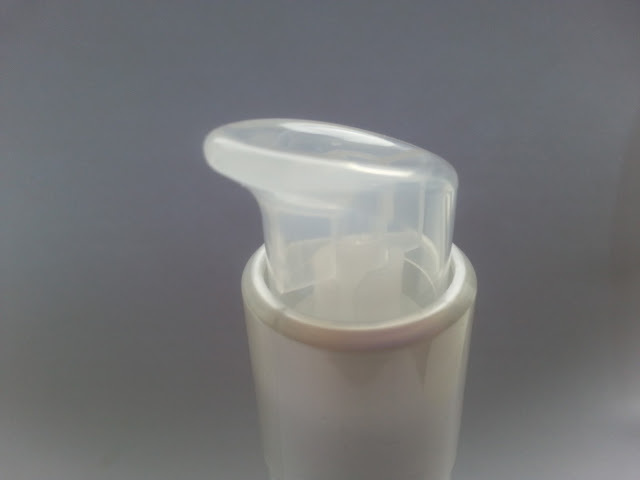 The shampoo is a very generous 250ml and comes in a handy squeezable tube. 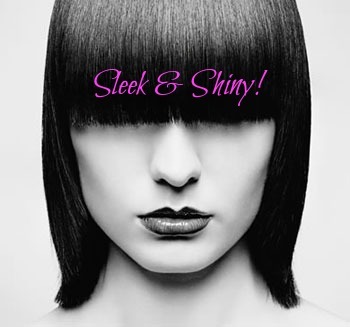 The shampoo itself is a cream texture with an almost mother of pearl type sheen to it. It has a lovely delicate scent to it - very pleasant to use. It lathers into a rich cleansing foam to leave your hair feeling thoroughly cleansed - but not that "squeaky clean" feel you can get from some harsher, more abrasive products. One lather, rinse and repeat later and my hair felt more manageably smooth and silkier - I definitely noticed it whilst brushing my hair - it wasn't quite the arduous task I had come to expect - instead my beloved Tangle Teezer glided easily through my hair - no more tugging and pulling, yay! "Frizz - Ease Straight Ahead Style Activating Conditioner has been developed for all types of frizz-prone hair. It tames, streamlines and calms frizz for instantly easier straight styling results. 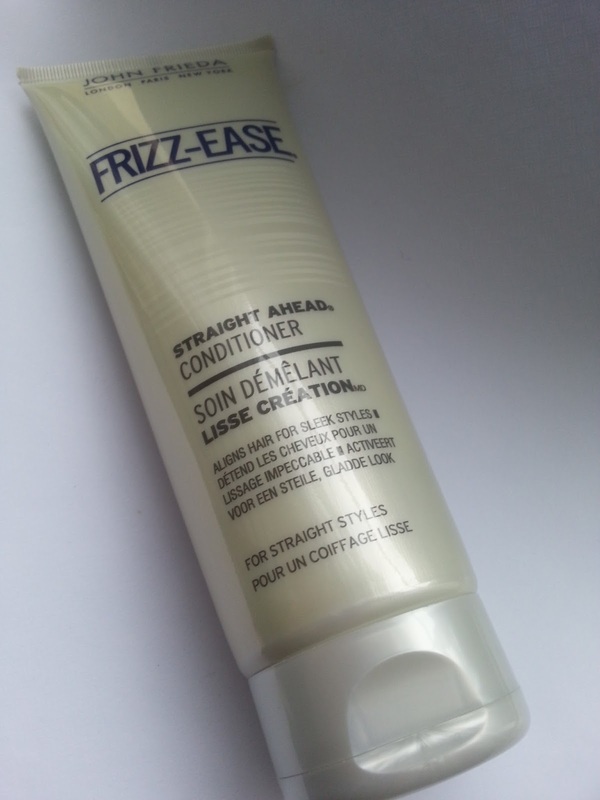 Frizz - Ease Straight Ahead Style Activating Conditioner is specially developed with a straight-defining complex, hydrating conditioners and frizz-fighting silicone. 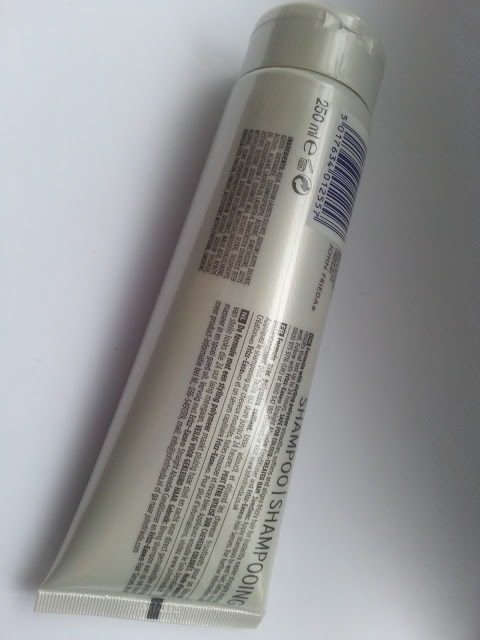 Gentle enough for everyday use and is safe for colour-treated hair. Will resist frizz in any weather." I've been leaving in the conditioner for 10 mins after each use to really let it soak in and penetrate the hair shaft and I have to say, it's definitely doing something right! 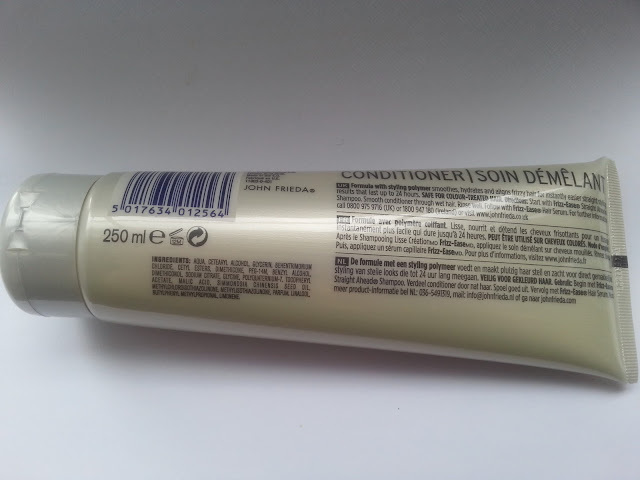 I normally like to comb through conditioner in my hair and as I stated earlier, I was find it increasingly difficult to brush my hair due to the damaging effect the highlights did - I could feel my hair "stretch" and worse still, "snap". Since using the conditioner however, I can feel a definite improvement in the condition of my hair. After using the shampoo and conditioner in conjunction with each other I can see and feel the difference already. Smoother, sleeker, shinier and healthier looking. Despite the name "Straight Ahead" - I don't think that those with coarser hair would be able to get away without their regular blowdry / straightening after washing, but I do think that in conjunction with these products you'll be able to achieve that sleek and straight look quicker, thus resulting in less heat damage to your hair, which is always a good thing. "This outstanding formula infused with silk proteins delivers a layer of crystal clear gloss for amazing shiny frizz free results. Ideal for straight and curly styles"
The John Frieda Frizz-Ease Original Formula Hair Serum is probably their most well-known and renowned products - it is after all the original hair serum that racked up an enviable amount of beauty awards and has made the cut of countless beauty editors must-haves. 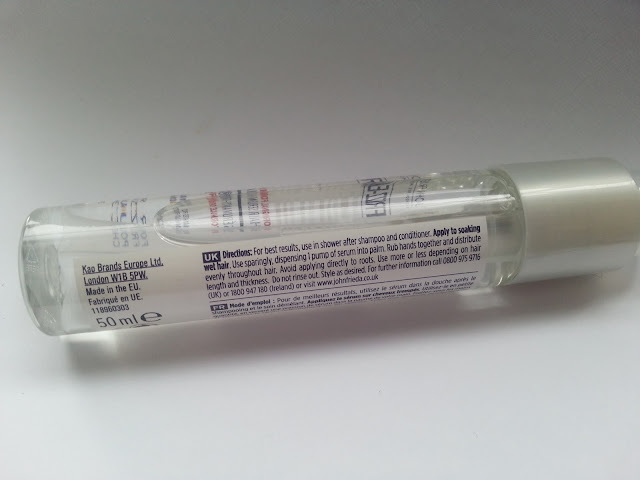 This serum contains a lot of silicone, which luckily for me is something that my hair and skin just so happen to love! 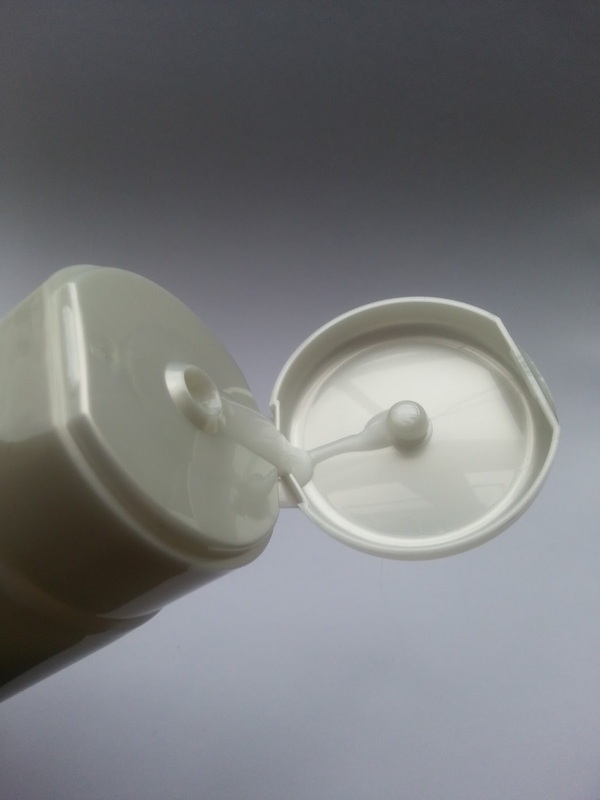 Silicone however isn't a permanent, repairing ingredient - it doesn't penetrate the hair shaft, it's a quick fix to add shine and gloss to your hair. Think of it as a face primer for your hair, because they're predominantly silicone based also, and again, they don't penetrate the skin to help heal or repair it, but they sit on top the skin to give it a smooth finish to work with. So if it's instant results and a quick fix that you're looking for, then the Original Formula Hair Serum is right up your alley! This comes in a pocket-sized 50ml plastic tube with handy pump dispenser - one pump should be sufficient for all your hair smoothing needs. 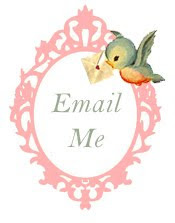 I like to distribute the product between the palm of my hands and rub them together to warm it up, then I glide my hands down across my hair starting from midway - I purposefully do not apply it anywhere near my roots as it's generally the mid-ends of your hair that need the nourishment and boost of shine. I love the effect the serum gives my hair - I'm talking a seriously glossy, almost mirror-shine finish! I decided to whip out the ol' hair straighteners one day after using the shampoo and conditioner and finished off with the serum and I kid you not, my hair looked better than it has in a long time with a smooth, straight, sleeky and shiny finish to give any salon blowdry a run for their money! 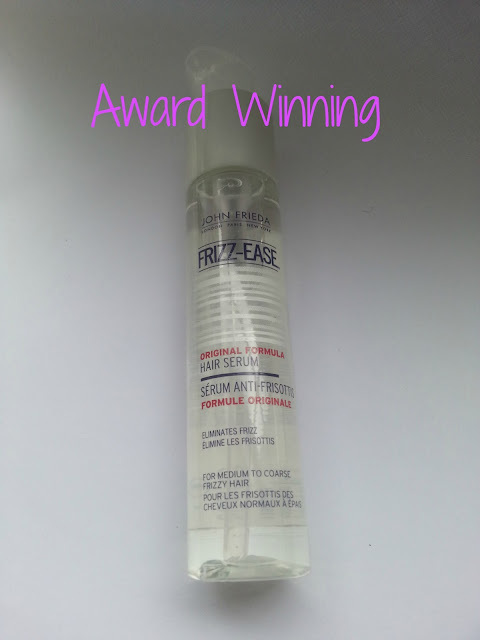 I can really see how the Frizz-Ease range has been on the receiving end of so many well deserved awards and accolades. This range gets a big thumbs up from me! 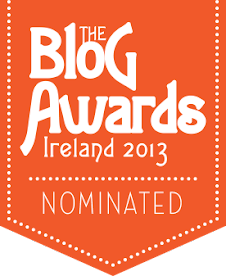 Available from Dunnes Stores, SuperValu, Tesco, Boots and selected pharmacies nationwide.